One of my favorite upma is Rava Upma. 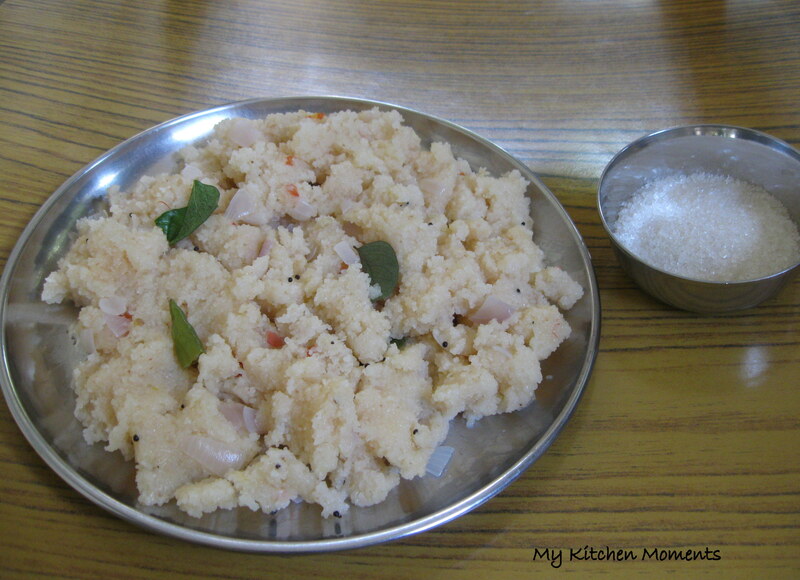 Give it to me for breakfast or even for dinner, i love eating Rava upma. I could never get bored of it. I love to eat it hot, as soon as it is prepared. This is a basic upma recipe. It could be eaten plain as such or with sugar or with lemon pickle or even with vatta kozhambu. But it tastes yum with sugar. Heat a kadai / pan and in a medium flame, dry roast the rava / semolina until a roasted aroma of the rava wafts. The rava becomes non-sticky and free flowing, but careful enough to not to change the color of the rava while roasting. Keep the roasted rava aside. Slice the onions, green chillies and keep aside. Now in the same kadai, add the coconut oil, temper the ingredients given under ‘To Temper’ table. Add the green chillies and onions, and fry till the onions are translucent. Add water, salt and allow it to boil. Once the water boils with bubbles, slowly add the rava and stirring side by side. It will splutter a lot, so be careful while stirring. Keep stirring and the rava will absorb water. After about 5 – 6 minutes, the rava will get cooked and become thick in consistency. Add the curry leaves and mix well. 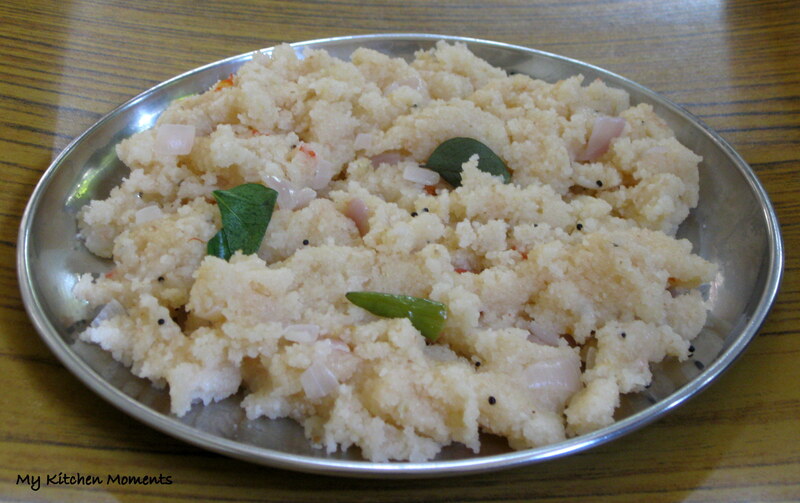 Serve the rava upma hot with sugar or pickle or vatta kozhambu. Water quantity depends upon the texture of the upma you want. For 1 cup Rava, add 1 & 1/2 cups of water. You can add finely chopped ginger, carrots and tomatoes along with onion. But it will be called Rava khichdi, so i like to keep the rava upma plain with only onions. You can add grated coconut to the rava upma. But if you are adding vegetables, do not add grated coconut because it wont taste good. But otherwise you can add grated coconut and it will give a very yummy flavor to the rava upma. Rava Upma is my go to dish when running short of time. I add chopped ginger with onion and chillies…tastes good! Yes, rava upma is the easiest and quickest tiffin around. Will try next time by adding ginger along with green chillies and onion. Thank you for visiting my blog and sharing your thoughts 🙂 Do drop in again.